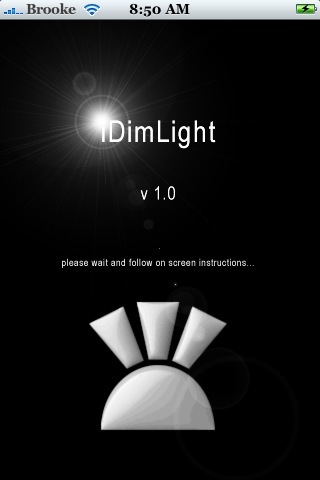 iDimLight is an application that allows you to enter an amount of time, after the screen has not been touched, that you would like the backlight to dim. 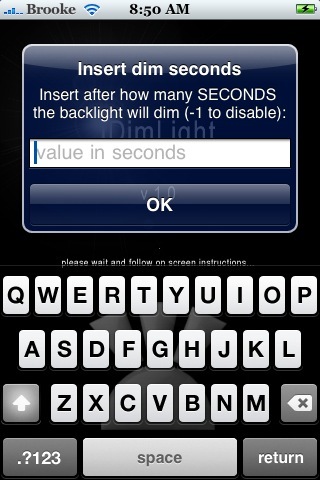 When you open the application you will get a pop-up in which you can enter after how many seconds you would like your backlight to dim. 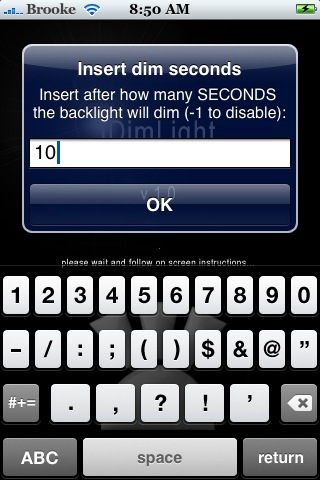 For example, if you would like your backlight to dim 2 minutes after the screen has not been touched, you will want to enter 120 seconds. Make sure you enter the time in seconds! 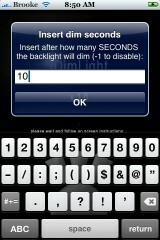 Once you have entered the time, select OK. You will then get a pop-up saying it has been set, select OK again. You will then get another pop-up asking if you would like to restart the SpringBoard…the changes do not take affect until you restart your SpringBoard so, you will probably want to choose Yes. iDimLight will not dim your SpringBoard if you have a vWallpaper as your background. It also doesn’t work in a few of the stock applications like SMS, Camera or if you are watching a video in YouTube (though, that is good thing!). Doug also noticed that if you are in an application and the backlight dims and you select the Home Button to leave the application, it will just undim the backlight. 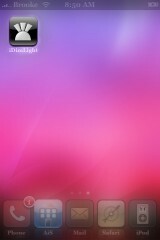 You then have to select the Home Button again to actually get back to your SpringBaord. 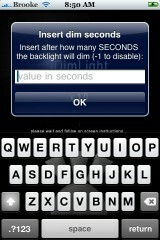 Other than that, this application works awesome! It is a great way to save battery life, especially for people like Doug would have their auto-lock turned off. 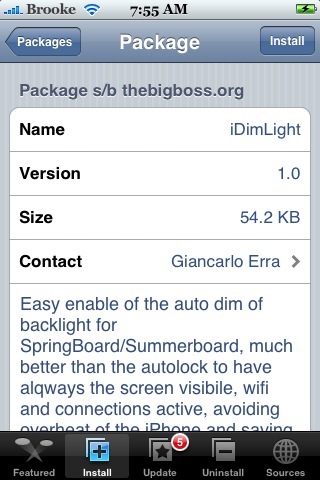 iDimLight is avilable through the BigBoss source. 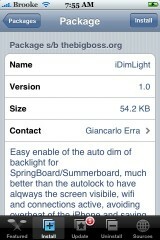 Note: You will need to have Erica’s Utilities installed before installing iDimLight. You can get Erica’s Utilities through the Ste Packaging source. How did you download iDimLight? I can’t find it anywhere. 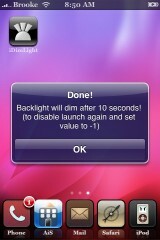 i realy like small and smart tools like that: since idimm theres no more need 2 turn the autolock on. Anyone know when will be this available for Firmware 2.0? Is iDimLight still available? I can’t find it to download. This sounds like a great app, I would like it to be available for 2.x. Does anyone know the theme that it shown in the pictures? I love it! subdomains and add-on domains. Social security is a major source of post-retirement income, and managing these influences affects retirement income levels in a big way. Host – Gator website owners can create a personal blog in both plans. The model identify ‘Bluehost’ is the brand on which 1 can trust. days, you can send email to sales@hostgator. their customers and performing disruptive upkeep almost weekly. is one of the more popular web hosts on the market.